Produced in the 19th Century as the Original Macclesfield Sill®, the Stormguard Door Sill is a product that works. The Stormguard Sill is respected and specified by architects and contractors, and fitted to properties throughout the UK. A Stormguard Sill properly bedded in admastic prevents rainwater from being driven under an external door. They are designed to collect rainwater which seeps, or is blown under and around the sides of the door. The Sill then drains this water back to the outside. Stormguard Rain Drips & Door Seals from JAS Timber Merchants & Building Supplies Blackburn Lancashire. - Finishes are shown as a guide only; variations are possible because an image will be shown differently from one computer monitor to another; Sheen and texture are a further complexity that cannot be shown on a screen! - We cannot exchange any Stormguard Sill once work has commenced; Metal Door Sill orders, & Direct Deliveries are supplied as a Special Order. 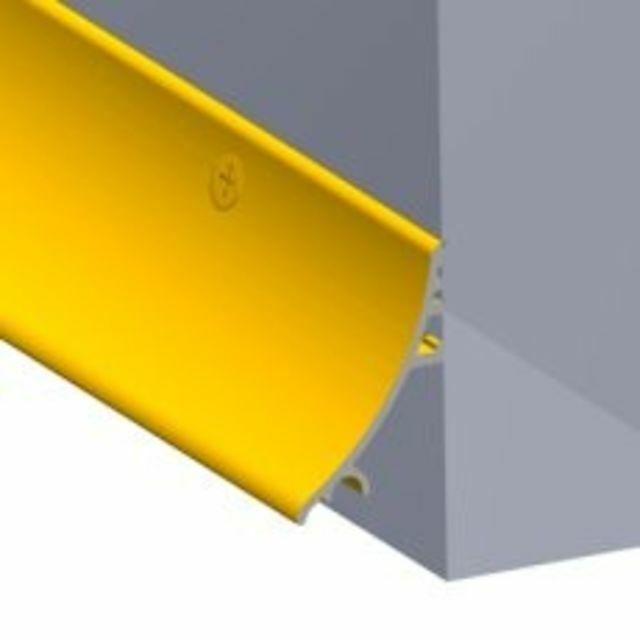 Chargeable carriage weights of Stormguard Door Sill and Raindrip are shown in Kg. To order online - Click add to Basket; To see your ongoing Order Total or to amend, click the Trolley Icon at the Top-RHS of the page in the Green Navigation-bar. E. & O.E. see T&C - We do try to keep prices and specifi­cations of Door Sills and Drips correct, but mistakes can be made! Please let us know if you do spot any errors - thanks.